Fortnite’s recent, big comet event was the start of something new for the cheery battle royale game. Nowadays, you don’t need to wait around for a special occasion to see the map change. Every update is an opportunity to see something different. 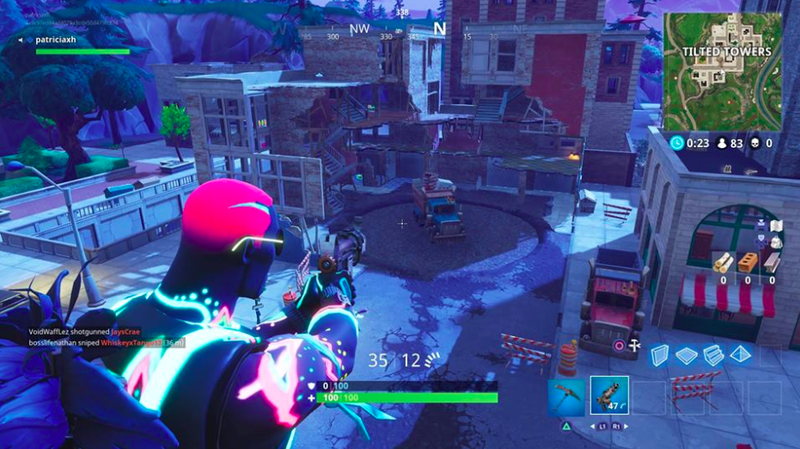 Case in point: there was once a small crater at Tilted Towers, but with the new 4.2 patch, it’s been filled in. Epic Games, the developers, also added some smaller details that make it seem as if a construction crew has been hard at work salvaging the wreckage. These are just some of the most noticeable changes. Players are reporting smaller tweaks all across the map, all of which affect the game visually without messing up any of the gameplay. It’s possible that Epic is doing a slow build-up for something big at the end of the season. The map hides too many unexplained secrets for Epic to just let those details go to waste. But, right now, I don’t really care what it all “means.” It feels cool to load up my favorite game and know that something will be different. Fortnite may only have a single island, but the map is not static. It is constantly changing with me. It feels rewarding to see it all happen in real-time, because I know that anyone who plays afterward won’t get to see what I did. It’s also cool to feel like the multiplayer does have a “story,” albeit a very understated one. These aren’t things that I normally experience within a competitive multiplayer game. I’ve said it before, but I’ll say it again: Fortnite feels alive in a way that few other games do. Epic is smart to keep the spirit of the comet going, and they don’t even have to keep destroying the map to pull it off.